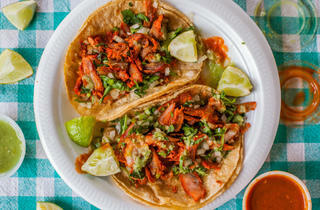 Photograph: Nick Murway Al Pastor tacos at Taqueria Los Barrilitos. 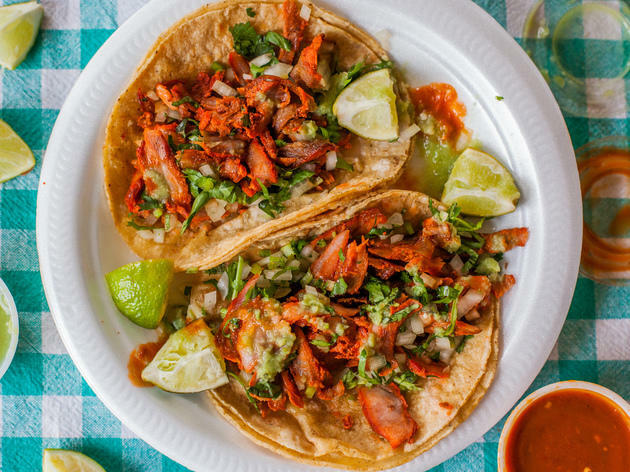 Just down the street from La Chaparitta is perhaps the city’s best al pastor taqueria (making this stretch of 25th Street the beating heart of Chicago’s taco scene). An enormous spit of rotating marinated pork beckons you as you walk in, and fortunately Los Barrilitos knows how to treat it right, slicing the chile-stained pork directly onto awaiting tortillas. Tender, with nicely caramelized edges, this is al pastor done right. I work down the street from Taqueria los Barrilitos and was almost disappointed to see that they made the list because I don't want anyone to find out about this place. I don't even eat pork and have thrown my integrity aside to eat this delicious slow cooked meat. Make sure you get the cilantro & onion (duh) and the red chipotle sauce. How did you even find out about this hole in the wall taco restaurant?